SDCC Power Party 2013 - Photo Parade and Talk Back! 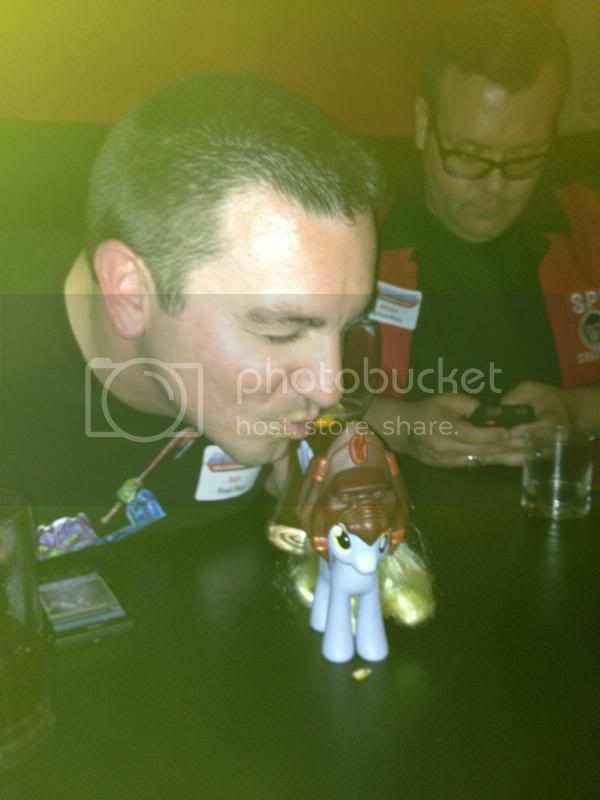 Thread: SDCC Power Party 2013 - Photo Parade and Talk Back! I had a BLAST this year! Good food, good drinks, good music and good friends. Thank you to everyone who came out. Here are some of Judith's photos from the show. If you have more, please post 'em up! And if you have any memories to share, please post them. We'd all love to hear what you thought of this year's Power Party! There's only one name in Justice: PAUL JUSTICE! By the power of BICEPS! Great party again! And I can't wait for Power Con. For a peace and love in our universe- MotU and POP together ! I have the power, and so can you! Follow me on the Council of the First Ones Podcast. What an awesome party! Had a blast! PD & PD rockin' the Energy Zoid shirts! Power Sword, JVS3 and Pixel Dan! A bit of the crowd! The after-party hot dog crew! Power Sword don't share with ANYONE! Thanks again for hosting this. We were pretty beat and delerious after a long day at the Con (and a super early morning the next day) so we were only able to pop in but it was great to be able to stop by and talk to a couple of people. Hopefully we'll be able to hang out longer next year. What a great time! We had lots of fun. It was great to catch up with old friends and make new friends, too! Just like last year the Power Party was awesome! Great people, drinks, karaoke, and toys. I can't get the video to post. Anyone know how I go about posting a video here on the Org? Last edited by Slave2Evil_Lyn; July 25, 2013 at 12:08am. I love all the pictures with the wieners! Agreed, nice seeing old friends again. 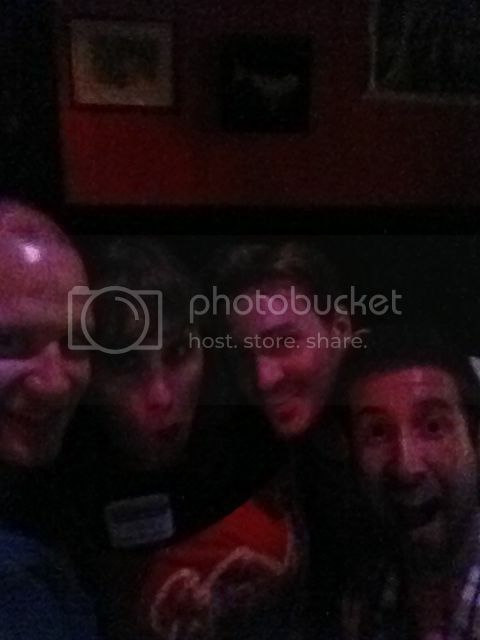 It was very nice of Pixel Dan to share his samples with those of us at the party. I gotta figure out a karaoke song. Shout outs to Slayor, Jzachery, BCRDuke for the laughs. Till next year. Also thanks to Val for the 11th hour addition! Unless my life undergoes a severe change, I'll never be able to afford to attend. But I can dream of one day being able to do this very thing. Glad to see the pics of the people behind the names, and the fun times had. I am so stealing this idea. I will have a batte pony. I think I saw you for 30 seconds as you were leaving! It was good to see you, though, even briefly! But I can dream of one day being able to do this very thing. If there's any way to make it, come on out. You don't need to attend SDCC to have fun. there's a LOT going on outside of the convention center. Thanks again for throwing this! Had lots of fun, Karaoke all night, though the sound was off, still lots of fun! Now we all do it again next year. Looks like you guys had a lot of fun, still some of the images are kinda creepy. Myself and bcrduke on mic, but everyone was singing along. Awesome party! You have to change the privacy settings on the video to be Public. Then when you click the video, the Options button, find the Embed link to post. I tried already and it worked but wouldn't play here because of the Privacy settings. I like Dan and his possessed eyes. 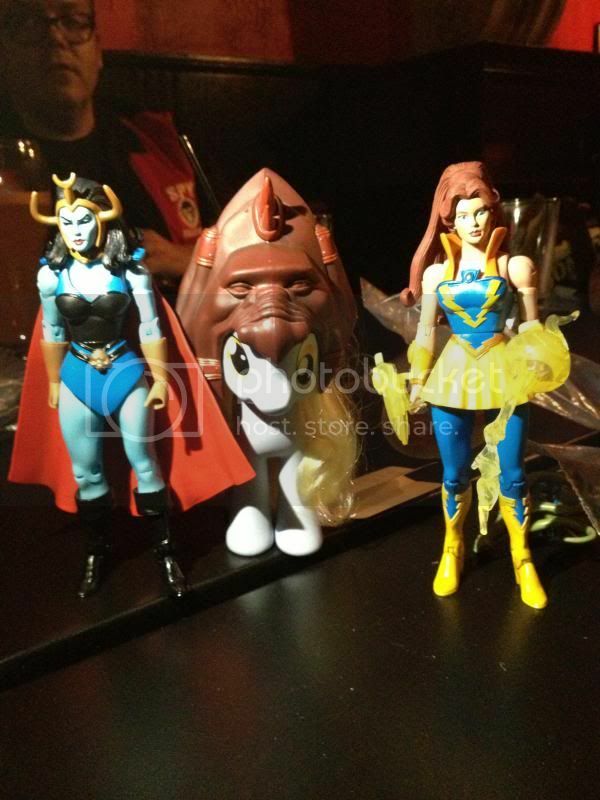 Seeing these photos make me wish I was coming to Power Con this year. I miss you guys! Hey Super7 I'm looking forward to what you do for Classics and I'm awaiting these figures! NA DESERVES A MINI SUB! My Facebook, check it out! Looks like it was a blast, gang. Maybe next year I'll join you! Certainly, something demonic about his booze personality! Also, it seems like you and CornBoy have exchanged hairdos! Eamon must be very jealous now! More "Total Eclipse of the Heart" action. Yeah, why do my eyes look like that in every picture? All times are GMT -4. The time now is 05:18am.